The Dominican Republic is a sovereign state in the Greater Antilles archipelago in the Caribbean Region. With a population of approximately 10 million people, it is one of the most diverse countries boasting incredible mountain scenery and captivating colonial architecture. Popular attractions include Fortaleza Ozama in Santo Domingo, Parque Duarte in Santiago and Santo Cerro in La Vega. Cheap flights to the Dominican Republic are now available for a limited period of time, so be sure to seize the moment and explore this exquisite island. Santa Domingo, is the home of Las Américas International Airport (SDQ), which is a 30-minute drive from the city centre. Tourists flock to the Hispaniola island to take in the magnificence of the Dominican Republic beaches. Punta Cana serves as an ideal beach spot for fun water sports such as kayaking and surfing. The Dominican Republic is a biodiverse paradise! An abundance of wonderful animal species and tropical plants can be discovered at places, including the Eastern National Park. 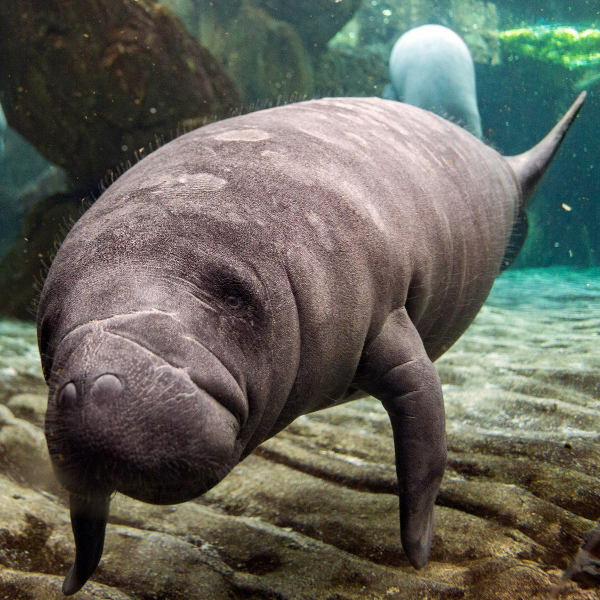 Spot species such as sea turtles, manatees and bottlenose dolphins. Breath-taking buildings will capture your attention, as you walk around and peruse the sights along your tour of the cities in the Dominican Republic. Spanish colonial buildings can be discovered in Santa Domingo’s Zona Colonial. 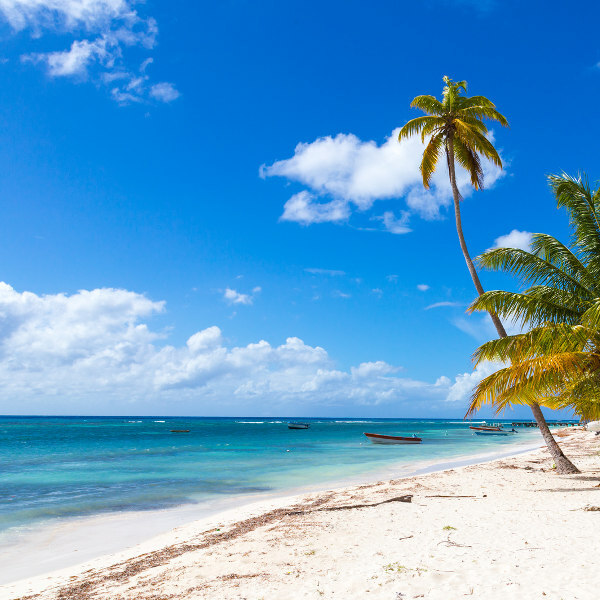 The Dominican Republic primarily has a tropical climate, and sees little variation in temperature throughout the year. The amount of rainfall determines the change of season in the country. Summer (May to October) is also referred to as the rainy season. The month of May experiences the highest capacity of rain. Tourists should take note of the hurricane season which occurs during the touristic low season (beginning of June – end of November). The high season occurs from December 15 to April 15, when most outdoor activities are taking place. Festivals are a crowd favourite, so be sure to check out the variety of music concerts and arts festivals during this time. Tourists are advised to make reservations two to three months in advance if you choose to visit during the island’s high season! The Dominican Republic is the most visited destination in the Caribbean, little wonder why, as it boasts sensational tropical scenery and an incomparable vibrancy amongst its people. Rum cocktails go hand-in-hand with an authentic beach experience on this humble island. The Dominican Republic captivates all senses as you dance and feel your way through magnetic cities such as Santa Domingo, La Vega and Santiago. This destination is sure to afford you incredible encounters beyond what is promoted in travel packages. For instance, a visit to the rural ambience of this Carribbean destination will lead to bountiful scenery, including the transient aural pleasure of gushing rivers and epic waterfalls. Santa Domingo is the gateway to the Caribbean pastime of slapping dominoes and enjoying the rich aromas of cigars. This bustling “La Capita” evokes the most humbling feelings of appreciation for the chance to be immersed in the everyday life of the locals. 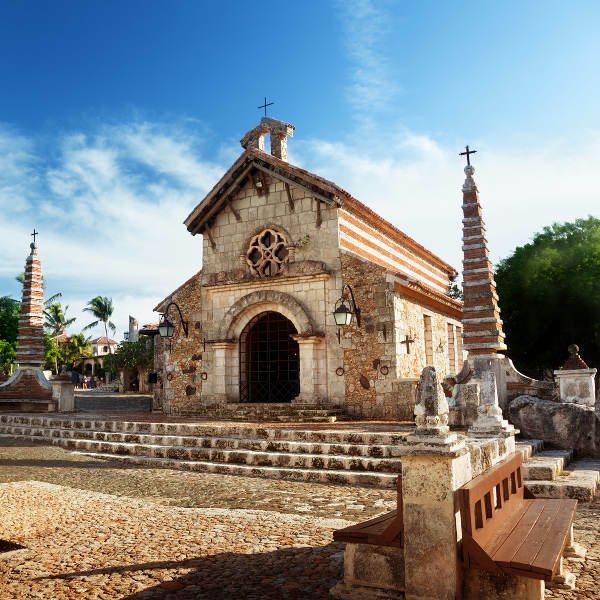 Surrounded by the sounds of merengue, Santa Domingo is the perfect Caribbean city for letting lose. Popular attractions to be enjoyed include Fortaleza Ozama, Plaza de España, Juan Dolio and Guayacanes (beaches). For sensational Carnival celebrations, make your way to La Vega. It is a city with an interesting history and is known as the heart of the Dominican Republic for its geographical position. Be sure to visit incredible attractions, including José del Carmen Ramírez National Park, Salto Jimenoa Uno and La Vega Vieja. Santiago is the city for those who wish to explore the sacred aromas and art of cigars. There are astounding areas of cigar plantations in Santiago, and the tradition of eloquent cigars still remains strong. Popular attractions include Monumento de Santiago, Mundo Acuático and Casino Gran Almirante. Compare several airlines, and book your cheap flights to Dominican Republic online at Travelstart! The Zika virus is a risk in the Dominican Republic. Women who are pregnant should not travel to the island. All travellers should follow steps to prevent mosquito bites. All travellers are required to obtain vaccines for typhoid, hepatitis A, hepatitis B, cholera, yellow fever, rabies and influenza. Speak to a health practitioner for antimalarial medication, as some areas of the Dominican Republic are known to have malaria. Remember to take anti-diarrhoeal medication to avoid falling prey to a diarrhoea encounter during your trip. The Dominican Republic’s touristic areas are relatively safe. Tourists are encouraged to take extra precautions at night. • It is best to leave your valuables in the hotel room safe. • Keep a copy of your passport with you. • Be vigilant of pickpocketing in public spaces.